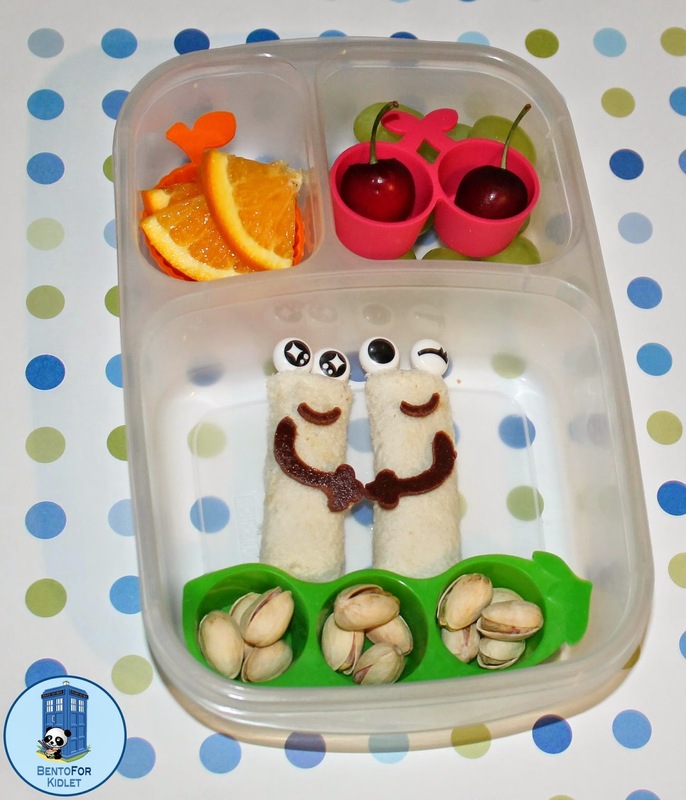 Bento for Kidlet: Two Peas In a Pod! This past week I participated in a challenge called 3 Tools, 4 lunches held by Wendy of Wendolonia. 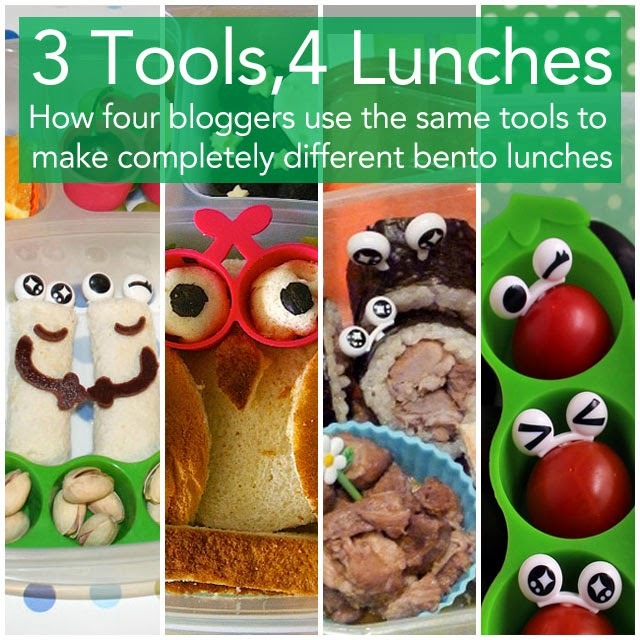 The idea was to give 4 bloggers the same 3 tools to use in their lunches and to see what they could come up with! It was a lot of fun to try to think up new ideas! The fact that your sandwiches are holding hands ups the level of cuteness in this lunch to EXTREME!